(MENAFN - Arab Times) KUWAIT CITY, April 15: While pushing for the bill on the civil and social rights of Bedouns, MP Adnan Abdulsamad said the Central System for Remedying the Status of Illegal Residents (CSRSIR) is part of the Bedoun issue as it has complicated matters more than finding solutions let alone its name which implies the inclusion of expatriates who violated the Residency Law. On the employment of Bedouns, he confirmed a large number of Bedouns are integrated in the Kuwaiti society. He believes Bedouns are capable enough to be employed like teachers and nurses, indicating this step will bolster national security as the appointment of Bedouns to such positions will lessen the number of expatriates in these fields, in addition to reducing State expenditures. He clarified the problem is not the naturalization of Bedouns, but the failure to grant their most basic human rights. He said this is supposed to be the task of CSRSIR, wondering what the agency has done since its establishment considering the number of issues and scandals it has caused. He disclosed the Cabinet decree on the establishment of CSRSIR stipulates that the agency should develop services provided to Bedouns, but it has not taken such a step. The agency claimed that it succeeded in decreasing the number of Bedouns from 220,000 to 110,000 but the MP refuted this as the number of Bedouns during the establishment of CSRSIR was already 110,000. Representatives of the agency also claimed that they have provided housing for Bedouns which, once again, was proven false as the ministries of Interior and Defense have been providing this service to Bedouns affiliated to them even before the establishment of CSRSIR. Therefore, the lawmaker stressed the need to intensify efforts in this regard as some households have more than 40 members. The decree also instructed the board chairman of CSRSIR to submit periodic reports to the Cabinet, but the MP said no report has been submitted while the chairman claimed that reports were presented verbally. CSRSIR had earlier revealed that it requested KD 24 million from Zakat House for the benefit of Bedouns. The MP said this raises a lot of questions as the agency is not supposed to be affiliated with Zakat House, let alone request for funding from the latter. Although the lawmakers proposed KD 6 million for the education of Bedouns, the parliamentary Budgets and Final Accounts Committee approved a budget of KD 4 million for the education of 120,000 Bedouns and their children; in addition to the employment of Bedoun reporters and nurses. On Bedouns with fraudulent paperwork, the MP asserted those found guilty of fraud should be prosecuted, 'but we must never assume that all Bedouns are involved in fraudulent activities and that they are hiding their real nationality; especially since some governmental officials are known to have directed Bedouns to offices which sell fake passports in order to grant them residency in the country.' 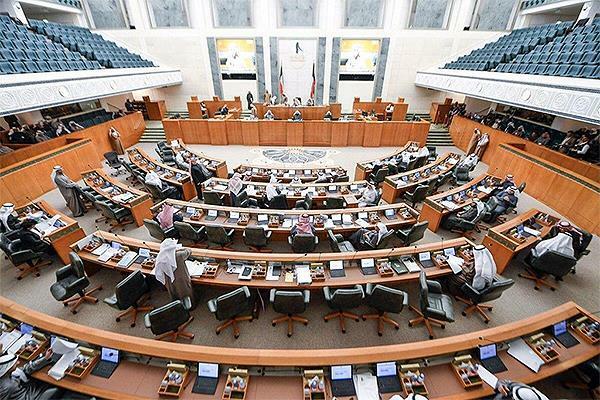 Consequently, the MP invites anyone who has objections or reservations to familiarize themselves with the bill first and they will realize that it provides the most basic human rights and a simple but dignified lifestyle for Bedouns who are part of the Kuwaiti society.